It’s been a year since my trip to Ecuador with Me to We, but I still remember how excited my friends and I were to be going on a trip together. We thought we were in for a service trip to the Amazon, but nothing could have really prepared us for what was really in store. Stepping off the boat for the first time was surreal. 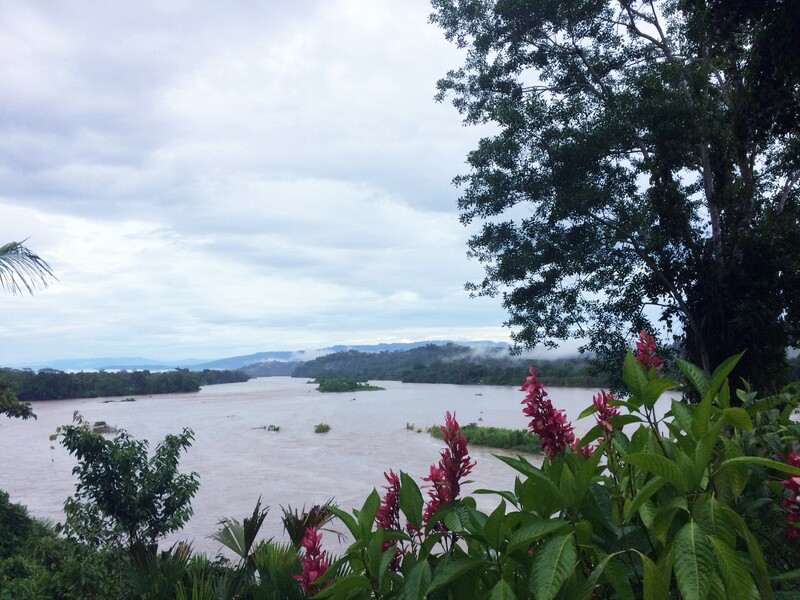 After an eight-hour bus ride and a boat across the Napo river, we’d arrived in the Amazon. I had yet to step off the boat when I learned my first lesson — minga. Minga is a word in the indigenous Ecuadorian language of Kichwa. It’s a noun that calls people to come together and forgo individual needs to work toward a common goal. Minga can be as simple as cleaning a room, or as elaborate as building a school. This ancient tradition is what would open my eyes to the solidarity and empathy of the people and communities we visited in the days to come. 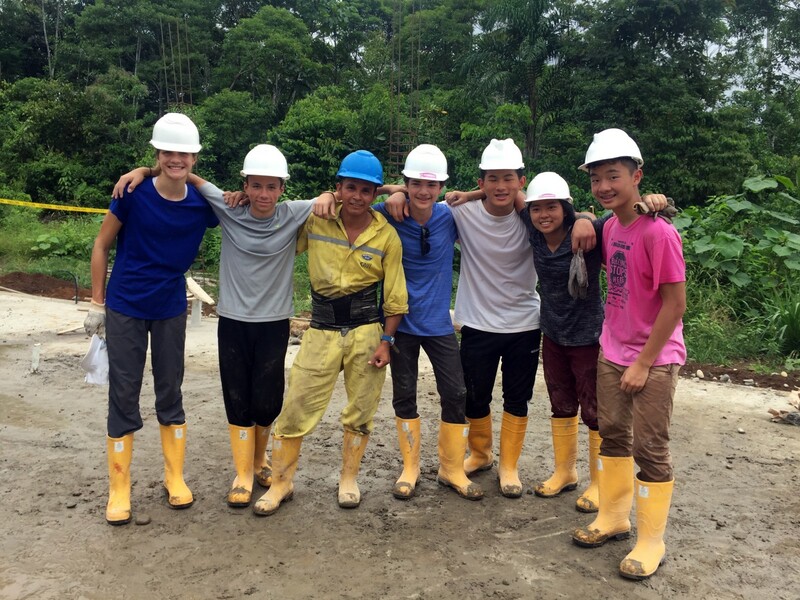 For the four days we were in the Amazon, mornings were spent building a school in a village called Cruz Chicta. The first morning, they split us up into groups and I was put on the ‘hardest job’: mixing concrete. Being the smallest person on the team, I got a lot of “Is that too heavy?” and “Are you sure you don’t want to do something easier?” and I think it’s safe to say that everyone was shocked when I insisted on staying on that job for the rest of the 3 days we were there. It was while mixing concrete that I met Saul. “I want to be able to build a better future for my daughter and the children in my community so they have opportunities that I never did”. He was so selfless in how he spent his time helping others and giving others a chance at a better future, and that’s something that really stuck with me. Saul and I became friends, and I remember how on the third morning, he came up to me with a smile and a “Hola Tanya”. I smiled back, but then it occurred to me that he had never asked me for my name. He learned it because he’s attentive, and he’s attentive because he cares. Saul showed me how to be compassionate in everything I do, and it’s something that I think about often to this day. Imagine having to swim to school. That’s right — swim. If you’re wondering about how you would bring your books, or what you would do about your wet clothes, the answer is simple: carry your supplies and a change of clothes in a plastic bag while you swim. That’s the reality of many students living in the Amazon. We often hear about how people in countries outside Europe and North America don’t have easy access to education, healthcare, and clean water, but no one ever talks about the reality of how much they sacrifice for a chance at these things we take for granted. These kids will walk for hours, and even swim across rivers to go to school, or to collect drinking water that isn’t even clean. It really puts into perspective how many things in my life I take for granted — even my hour-long commute to school. As I said earlier, Saul and I had become friends over the course of our visit despite the clear language barrier. He spoke no English, so we resorted to communicating through smiles, my limited Spanish and strange hand gestures, but he wasn’t the only friend I made. Our last day at Cruz Chicta, we were lucky enough spent an hour or two playing with the kids at the school. We got ruined in a soccer game against the older boys, did simple activities with the younger kids in the field, and danced to music with some of the girls. I still remember when the girl sitting in my lap in the picture above (who was too shy to tell me her name, funnily enough) came up to me and tapped on my shoulder. When I turned around, I saw that she had brought a couple of a friends with her, and she reached out and tugged lightly on my braid. After a few moments I realized that they wanted to learn how I did that with my hair, so we all sat down and I showed them how to do it, letting them take turns practicing on my own hair. It’s in moments like these that friendships were born, no matter how short they lasted. 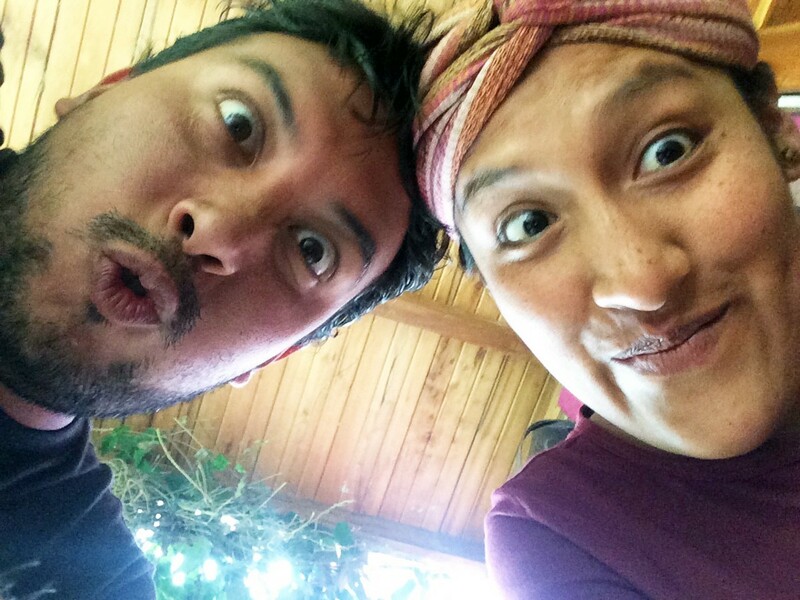 This is Sandra and Karloso, our Me to We guides, but more importantly our mentors and friends. They took the time to get to know all of us individually and as a group, and create bonds with us. To them, there’s always an opportunity to teach and during the ten days, I became so familiar with them and I learned so much that it’s crazy now to think that before the trip, I had never even met them. These are the types of relationships that grew out of this trip. I know now that friendship can manifest in many different ways, and it doesn’t take much to connect to someone. 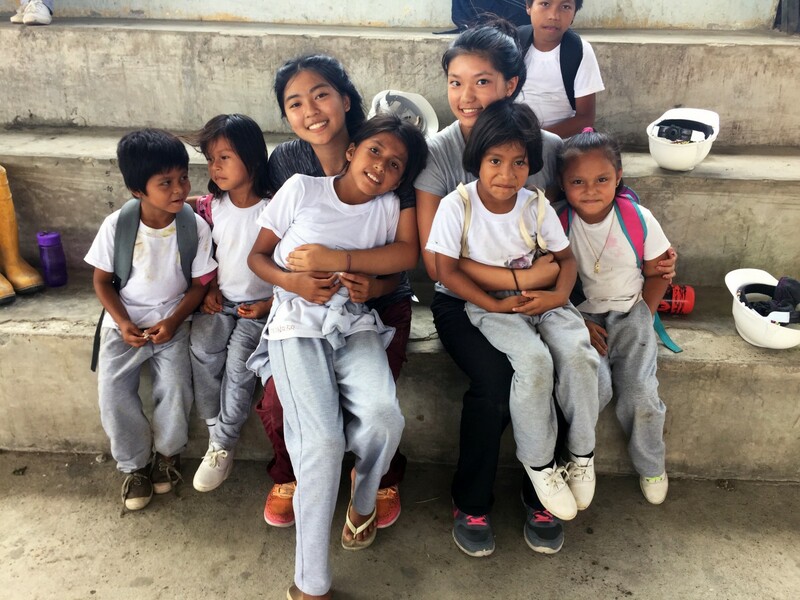 It was in Ecuador that I learned how to talk to people and connect with them, no matter the circumstances. It’s been a year since we’ve returned from Ecuador, but every day I still remember little lessons I learned on the trip. It really opened my eyes to how fortunate I really am and showed me that I have access to incredible resources and opportunities. Now, I take advantage of every opportunity that interests me and I live my day-to-day life with a little more awareness, kindness and compassion.